Montaigne Studies An Interdisciplinary Forum. 1995, n° 7. 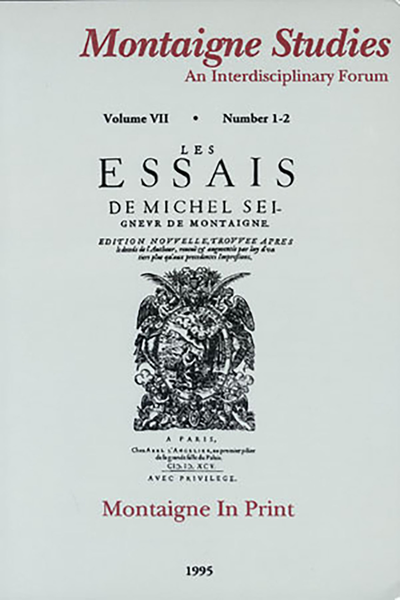 Montaigne in Print - Editing Montaigne's Translation of Sebond's Theologia: Which Latin Text Did the Translator Use? Editing Montaigne's Translation of Sebond's Theologia: Which Latin Text Did the Translator Use?